This statistic presents the opinion of the French on the actors responsible for the Social Security deficit in 2016. 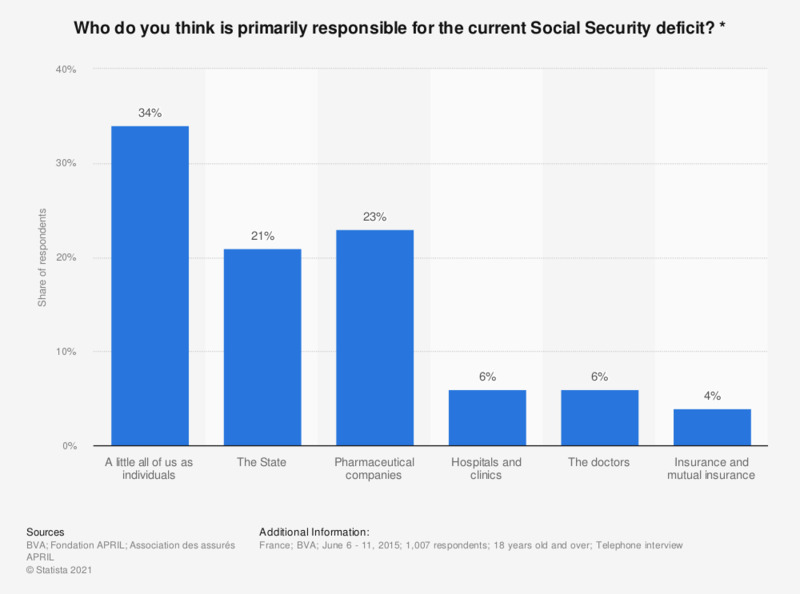 4% of those surveyed thought that insurance and mutuals were responsible for the Social Security deficit. * The source adds the following information: "only one answer possible"
Do you think the healthcare system in France is fair? Would you say that in France today, everyone has the same chances to be in good health or to stay healthy?